The end of the year is a time for reflection and making peace with the things in your life you couldn’t change. Therefore, it only makes sense that the New Year would be about taking back control and tackling the things you can change in your own personal act of carpe diem. Still, while more than 40-percent of the population will make New Year’s resolutions toward positive change, less than half of them will follow through within the first six months. Sadly, only 8 percent will have successfully met their goal at the one-year mark. The question is … why? According to experts, the answer lies in how we set these goals. As a whole, we tend to make broad-sweeping, unrealistic resolutions such as “get more exercise”, “lose weight” or “drink less.” While these are great in concept, they do not offer measures of success or actionable steps in how to be successful, which ultimately leaves too much room for failure. As a result, we often give up. 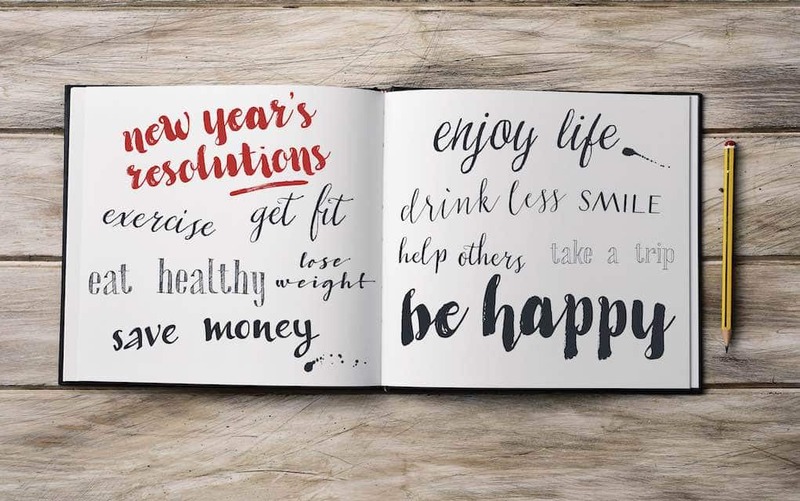 As you start to map out your reinvention to a healthier you in 2019, here are a few tips to ensure success with your New Year’s resolutions. 1. Make your goals measurable: Rather than make a resolution to “eat healthier” in the New Year, turn this into something measurable according to where you stand in relation to this goal. For instance, if you want to be healthier by consuming less meat, consider framing your New Year’s resolution to go meatless for lunch. Set a deadline to re-assess your healthier eating goal. If you find that you are having a difficult time achieving that goal by the set date, tweak accordingly to avoid setting yourself up for failure. On the other hand, you can also tweak your goals to increase the challenge (i.e. : only purchase meat that is USDA certified organic). 2. Make your goals realistic: If you have an addiction to diet soda, do not make a New Year’s resolution to cut it entirely from your diet. Not only is this unrealistic for you, it is likely to make you (really) unhappy! Instead, look for a natural healthier version of your diet soda or swap out for herbal tea on weekdays. This will help you reach for a healthier goal more aligned with your lifestyle. 3. Make a resolution to “add” something: Too often, New Year’s resolutions revolve around eliminating things from your diet or life. Adopt a glass-half-full mentality by making resolutions to add something. This could be a commitment to incorporate at least one veggie to every lunch and dinner or having a glass of water with every meal. Invest in healthier eating tools and gadgets such as a Vitamix, food processor, juicer, bamboo vegetable steamer, veggie spiralizer, or glass storage containers. Sign you and your significant other up for a healthy cooking class. Sign up for CSA (Community Supported Agriculture) to have fresh fruits and vegetables delivered to your front door every few weeks. Visit Localharvest.org to find one in your area. Search the internet for healthy recipes. Just add the word “healthy” in front of your favorite meals to find a healthy version. Get a Pinterest account (if you are one of the few who isn’t addicted already). Pinterest is full of simple, healthy recipes that you can “pin” now and pull up when you’re ready to make your weekly shopping list. 5. Incorporate rewards: Since most New Year’s resolutions are based on deprivation of some sort, consider weaving in rewards to better achieve your goals to be healthier. Examples include dining out on Saturdays if you followed the plan, or allowing yourself to have dessert twice a week. Rewards not only keep you motivated but they give you something to look forward to so you are more likely to stick with your goals. 7. Accept that you will make mistakes: Chances are you are going to have a bad day and slip. Tell yourself it’s okay, and then use it as an opportunity to ask yourself why you gave in. Understanding your obstacles will help you to overcome them the next time you go to order that cheesy pizza or drink that large soda.